During 1975, two exhibitions occurred in London with the same title, Women and Work . 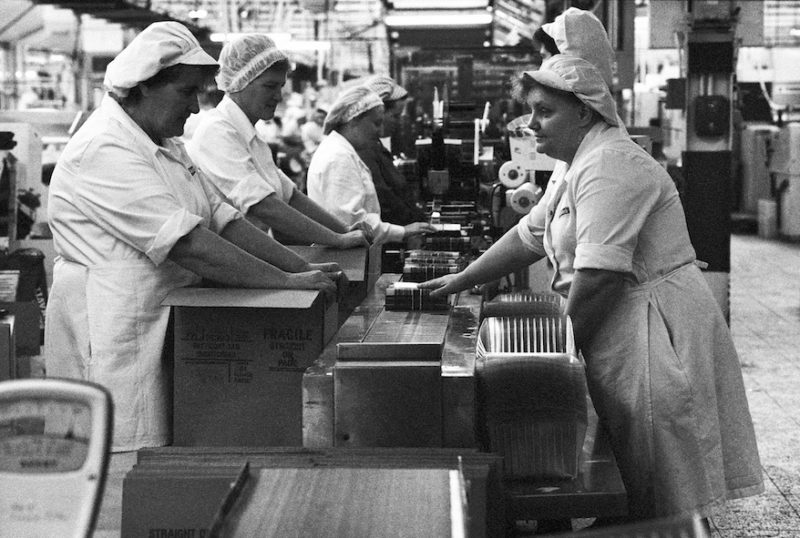 For one, Margaret Harrison, Mary Kelly and Kay Hunt undertook a sociological study of women workers at a metal box factory. For the other, the Hackney Flashers collective photographed women at multiple workplaces across their borough. Although not planned in conjunction, both projects are now understood as together constituting key instances of feminist practice’s engagement with, and redefinition of, documentary processes and social activism. The recent attention to these initiatives by feminist art historians, curators and institutions—including an exhibition of Harrison, Kelly and Hunt’s Women and Work: A Document on the Division of Labour in Industry 1973-75 at Tate Britain in 2013-14—makes this a particularly opportune, even vital, moment to develop a greater appreciation of the contribution made by the photographer Franki Raffles to documentary explorations of labour and sexual difference. Raffles was born in Salford and studied in St Andrews before living on the Isle of Lewis and settling in Edinburgh; she also travelled extensively throughout her career. The three projects on show at The Glasgow School of Art demonstrate both the close links that Raffles established within her local communities, and her interest in cross-cultural comparison and exchange. 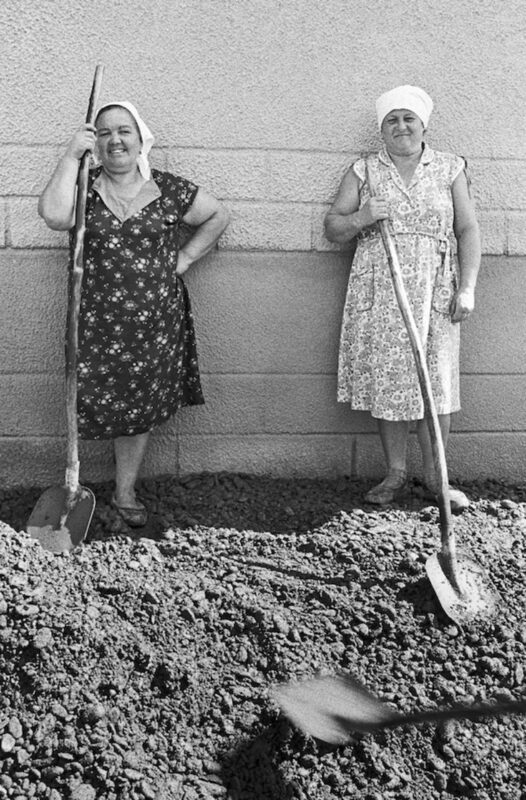 Women Workers makes space for the women’s humorous, confident and combative voices, while each image is composed so that their bodies are framed by their surroundings, but never overwhelmed by them. The cumulative effect underscores the omnipresence of women’s work, its importance and variability in Soviet Russia, challenging naturalised conventions relating to labour and gender. Women Workers is in stark contrast to Raffles’s Edinburgh-based project To Let You Understand… completed the year before, in 1988. 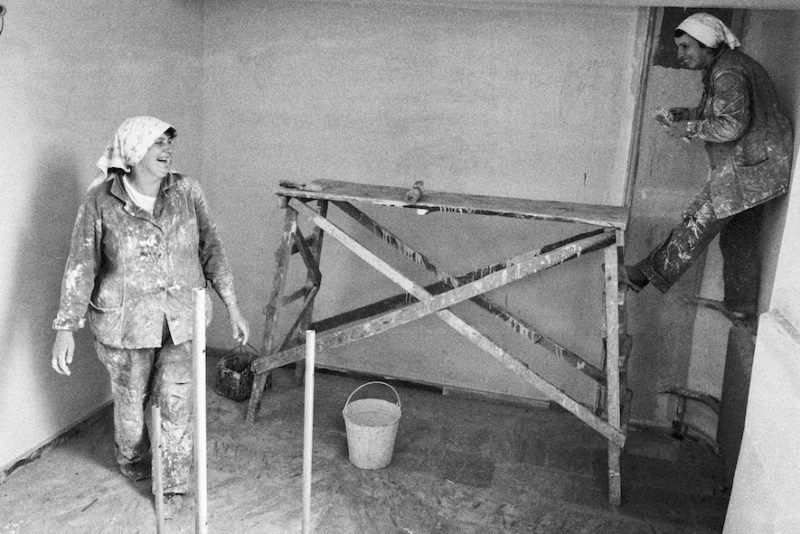 Where the Soviet women appear engaged and energised, the cleaners, shop assistants, factory workers and home help carers documented in this series seem listless and alienated, their faces often occluded by shadows. Executed in collaboration with the Edinburgh District Council Women’s Committee, and informed by statistical information about pay and working conditions, the work investigated here is atomised rather than collaborative, whether we are looking at women separated into neat compartmentalised cubicles at a Hewlett Packard office, or a carer silhouetted against a window as she prepares a meal for her lonely-looking client. Yet although Raffles was a committed Marxist-Leninist, the comparisons and rhythms that she establishes across her images complicate any simplistic binaries between communist and capitalist modes of production. 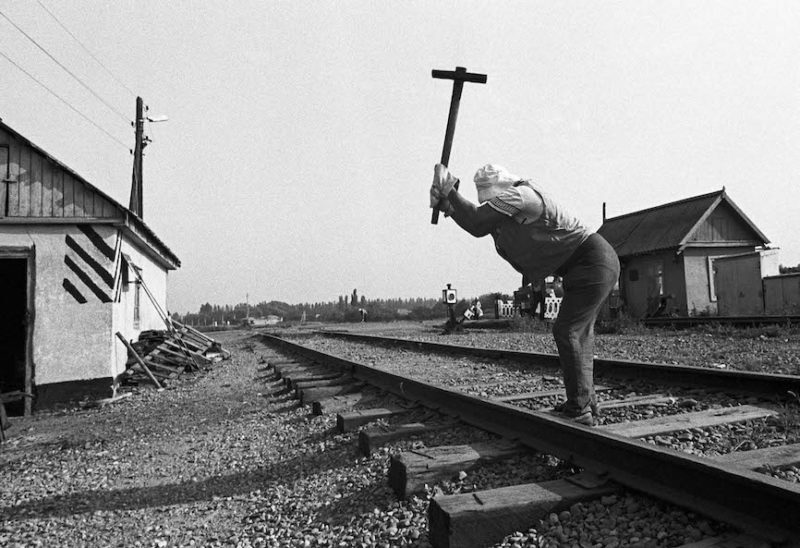 Indeed, the dates of the Women Workers images are particularly resonant: these pictures were taken three years after the Chernobyl disaster near the Ukraine-Belarus border, and two years before the dissolution of the USSR, raising poignant questions about ideology and exploitation. 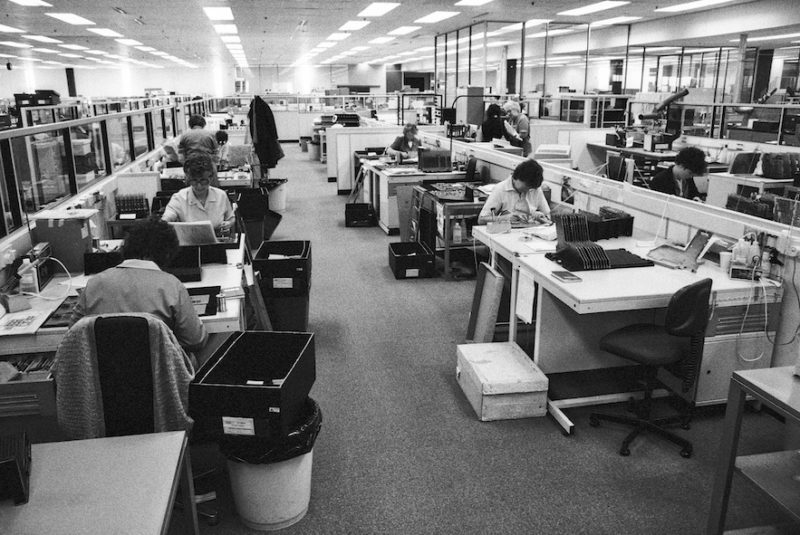 In Women Workers and To Let You Understand… work is respected without being glorified, and individual, lived experience balanced with a materialist feminist attentiveness to state systems and economic imperatives. The third project is where Raffles overlaps most strongly with the politicised, deconstructive documentary agitprop developed by the Hackney Flashers. For the Zero Tolerance campaign, which began in 1992, Raffles created posters condemning sexual violence against women that were exhibited across Edinburgh. Raffles again combined word and image, but here the texts contrast with the photographs: rather than showing women as victims, Raffles undercuts idealised domestic scenes with stark statistics about domestic abuse. In the last room, curator Jenny Brownrigg contextualises Raffles’ work in relation to the Hackney Flashers, and social realist photographers Helen Muspratt, Margaret Fay Shaw and Doris Ulmann. This testifies to the resonance of Raffles’s work, but it also underscores the distinctiveness of the documents she produced. The exhibition, accompanied by a publication of the same title and developed in conjunction with Edinburgh Napier University’s Franki Raffles Archive Project, provides a valuable opportunity to observe Raffles at work. Hopefully, her feminist labour will become increasingly recognised.